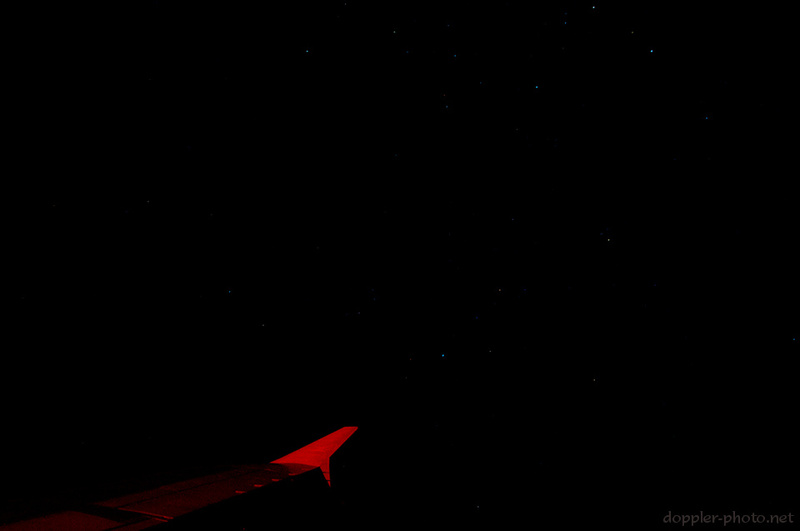 There's something unique about a red-eye flight. It's so isolating — I've never felt so alone, for so long, with so many people. For me, I almost never sleep. Instead, I reminisce, I contemplate, I wonder. And then when the fancy strikes, I challenge myself to capture that uniqueness, that wonderment, that loneliness, in a photo. During a few of his talks at the Google+ Photographer's Conference, Trey Ratcliff shared some thoughts on being alone, and how solitariness is one shared aspect of being a photographer. Not only did that resonate with me, but it reminded me of this story and this moment — sometimes, loneliness is communing with the stars when everyone else is sleeping.